Disco was history and it was time to move on. 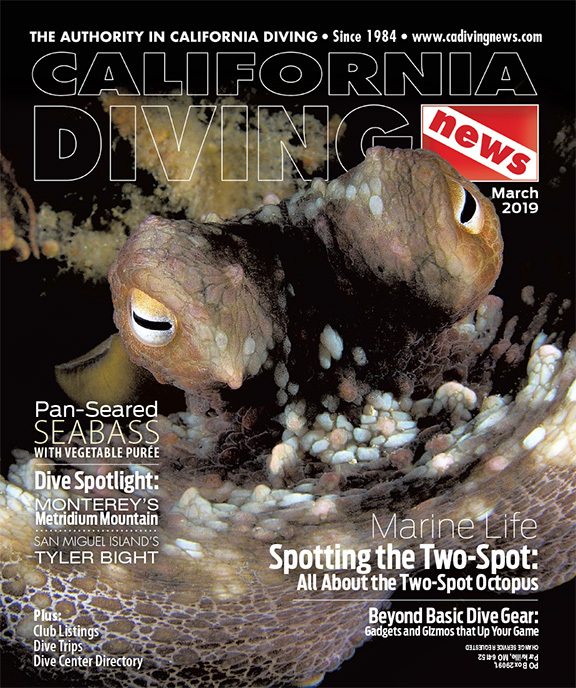 After a successful career in commercial diving, with a deep love of California waters but little publishing experience Kim and I started California Diving News. It was 1984 and our office was the first generation Macintosh computer in a small bedroom. It was so stressful early on that within hours of selling our first ad I ended up in the hospital being treated for exhaustion. I was 27 years old. At that time Kim held down two full-time jobs; she worked nights as a registered nurse, and managed California Diving News during the day – handling the accounting, co-authoring articles, and working as a photographer and an underwater model. Then we added writing books on diving – all while raising our two young boys, with sports to coach. We would later describe our relationship as me being the powerful horse with Kim handling the reins. Neither one of us knew how to steer the metaphorical runaway horse. Young parents and brand-new business owners, we were lucky to have family and friends to babysit, offer advice and help edit our material. When I was a commercial diver Kim gave me a Saint Brendan medallion for my protection. There was no patron saint of commercial divers but since Saint Brendan is the patron saint of seafarers, we figured “close enough.” We settled on Saint Brendan Corporation for the name of our company, and Saint Brendan became the unofficial saint of scuba divers… until it became official. If you Google it, you’ll see Saint Brendan come up as the official patron saint of scuba divers. It is also on Wikipedia. Then we hatched another idea; “I know, let’s do a show!” Kim and I had absolutely no experience in the expo business. This was going to be fun! We are, after all “On a mission from God.” (John Belushi as Jake in Blues Brothers, 1980.) Kim left her other full-time job as an RN to work as CFO so I wouldn’t spend us into oblivion with the show. Yes, it was going to be fun, but was the scariest thing we had ever done. 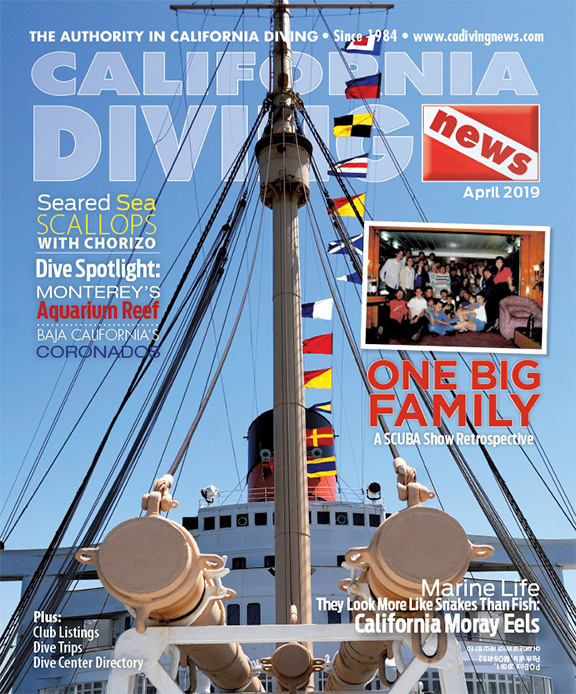 We had about 12,000 people reading California Diving News and figured we could get some of them to attend an event. We modeled everything we could from other dive shows and events, and learned as we went. That first show took place in late June 1988. We picked a venue based on the 100 exhibit spaces we might sell which was oddly or intentionally the hotel where Kim and I spent our honeymoon night, the Sheraton La Reina at LAX. We laid out the exhibit spaces, hired our first “decorator,” set the framework of the show and we were off! While there were similar shows in the east, this was the first time a consumer dive expo would be done on the west coast. In the days before email, sales of exhibit space included good old-fashioned letters, calls, faxes and hitting the road to press the flesh. We managed to fill it up. Next we had to figure out things like soliciting and gathering door prizes, putting together seminars, setting up a fashion show, a printed program, and assembling and judging a photo contest. Then we had to bring in the attendees. Promotion was almost exclusively done through CDN and word of mouth through the local dive stores, boats and dive clubs. We had no idea what the response would be. Then another realization hit — we had no staff for the show. It was just Kim and me. We would need directors for the different areas and lots of worker bees, including people to handle seminars, badges, ticket sales, ticket takers, seminar sales, film festival, demo pool and more. Yikes! Our tight-knit family and friends were saviors! Moms and dads, in-laws, aunts, uncles, brothers, sisters, cousins and friends. None of us knew what we should do with an expo. Exhibitors and the public never saw our lack of experience and with a lot of dedication and hard work, we were confident we’d pull it off. That first show was $5 admission for exhibits and $5 per seminar. We decided on Friday night for a social party, and Saturday and Sunday for the event. We held our breath to see if anyone would show up. 50? 500? Who knew? The door flew opened and they began to pour in. First hundreds, then thousands. A little over 5,000 showed up that initial weekend. Exhibitors were happy, attendees were happy, we were happy. We tried to make sure that all the pieces and parts of a dive show were in place – the exhibits, seminars, film screenings and stuff. But what surprised us the most? People turned up just for the fun of hanging out with their dive buddies. We had underestimated or didn’t consider one of the most important draws of the show. The social aspect. Divers made new friends, old acquaintances were reunited and our community for the first time got to hang out with the people on the business side who provide their equipment and diving. It was a coming together over a mutually shared passion. Dive plans were made, many for local trips and others to exotic destinations, some of which nobody had ever heard of let alone could pronounce. Divers were introduced to relatively new concepts in diving including computers and live-aboard diving vacations. The exhibit hall was abuzz with information and ideas. As a result, requests for exhibit space for the 1989 show exploded. Attendees wanted more. We expanded the show for 1989 by moving to the Queen Mary, an icon of the Long Beach skyline. The exhibit hall took up three floors of what was once the elegant ship’s boiler room. It had been emptied of machinery and carpeted. A unique venue, two of the three floors were actually below the waterline making ours the world’s first truly “underwater” dive show. The venue was not without challenges. For exhibitors with heavy gear, a single elevator had to be used for all three floors of the exhibit hall. Exhibit spaces had to be reduced to make room for attendees to simply move around. But the most difficult challenge that first year on the boat was yet to come. Based on the success of the first year we estimated a crowd of 8,000 people. In our pre-show meeting however Queen Mary management dropped a zero from our attendance estimation, put down 800 as the number by mistake, and the show was horrifically short of food and staffing. They were overwhelmed. Somehow we made it work, all the while Kim being seven months pregnant. Communications aboard the ship were nearly impossible. The metal bulkheads of the ship made our walkie-talkies unreliable, cell phones at that time were rare and would not have worked anyway, and we had to rely on runners – mainly the older children of ours and family members. Our three boys, Christopher, Reed and Eric held various job titles throughout the show’s history. They speak fondly of the amazing sight of watching the empty hall turn into an exciting and fun party. Not only was our entire family invested into the show year after year, our boys found that the California Diving community was family. In 1992 the 7.3 Landers earthquake hit in the early morning hours before the show, and even though the ship floats, it was strongly felt through the huge and very tight permanent mooring lines. We thought the quake would hurt attendance, yet it didn’t stop divers from coming. The ship was famous for being haunted and there were some unauthorized “ghost hunts” late at night in the bowels of the ship by staff and a handful of exhibitors. Yes, apparitions were seen and yes, alcohol was involved. Celebrities and TV and movie stars visited, and we were honored to screen an exclusive special introduction of the work that James Cameron was doing for his upcoming movie, Titanic. It was during one of the shows aboard the Queen Mary that I first met Mark Young, who now owns SCUBA Show and California Diving News. An exhibitor complained he was roaming the aisles selling advertising for his publication, Dive Training magazine. Mark was not an exhibitor, so I took this complaint seriously and told him he had to leave immediately. He refused. Flabbergasted I walked away not quite knowing what to do. I circled back around and gave it another try, but Mark continued on his merry way actually doing nothing of which he was accused but rather just enjoying the excitement of the show. In hindsight, I’m glad he stayed. We have since become great friends. 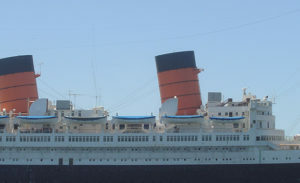 Disney owned the Queen Mary and in 1993 broke their lease, leaving the Queen Mary mothballed. That year we held the show at the Disneyland Hotel in Anaheim. The City of Long Beach managed to find a new leaseholder for the ship and we happily returned to the Queen for the balance of the 1990s. By 1999 things were busting at the seams. The California market and show attendees were so great that many more exhibitors wanted in. We had a waiting list with companies actually becoming angry they could not get in. We had to limit each exhibitor to no more than four spaces. Attendance swelled to over 10,000. We literally took over the ship and jokingly called the Queen Mary the world’s largest dive boat. But it was time to go. In 2000 we expanded to the Long Beach Convention Center just across the bay, and the show immediately grew and filled quickly. A few years later, moving to a larger hall in the same facility the show grew again. Kim served as executive director and dealt with most of the day-to-day details and was the go-to person during the event. She was the contact for the exhibitors, and typically after she would respond to inquiries, and especially if exhibitors or attendees were looking for a different answer, then they would scurry off to ask Dale the same question. Dale in turn would respond with, “Whatever Kim said.” In frustration Kim had a shirt made that read, “Do you want to talk to the man in charge, or the woman who knows what’s going on?” It didn’t always help; her frustration reflected on the man’s world of scuba diving back in the day. The event has always been a place for unveiling product innovations, new destinations and new ideas. In post-show surveys the #1 reason people say they attend is to see the latest dive equipment, and equipment makers have always used it as a showcase to introduce their new products. Attendees have seen a lot of equipment innovation over the years. And the show witnessed the shift in emphasis in the California market from underwater hunting to underwater photography, and the remarkable advancements from film to digital photography and video. Also in early the ‘90s, arguments raged over the use of nitrox. Discussions at SCUBA Show were hot and heavy. Tech diving was able to spread its seed at the show. Some of the first recreational rebreathers exhibited at the show in the late ‘90s and through the turn of the millennium. Crowds formed around them to see, listen and give feedback. And the world of diving was opening wide with island governments, resorts and live-aboards using the show to introduce places and ways for divers to explore destinations they never imagined. 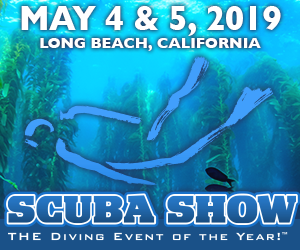 In many other ways the SCUBA Show was important in the development and implementation of new gear, resorts, methods of diving, and changes and innovations in education. We discovered that not only did exhibitors come to the show to sell, but also to get direct feedback from consumers about what works and what does not, exchange ideas, and share experiences. We often heard of ideas that began at SCUBA Show coming to fruition. After 25 years in business, with our boys raised through college and off exploring their own careers, our personal lives were changing. We were increasingly involved in our church in a number of ministries. At the same time a variety of companies came looking to purchase the business. Some were serious, others not so much, and we knew if God wanted this to happen, the right buyer would come along. Either way, we would be content continuing to run the show. This was our baby, after all. It was as much an emotional decision as it was financial. And we wanted any new owner to carry over the same foundational principles on which California Diving News and SCUBA Show was founded. Along came Mark Young, the guy I tried kicking out of the show many years before. When I met him in that awkward situation he was still early in publishing Dive Training magazine, and since then had built the magazine to a most respectable publication, along with the diving industry’s trade journal, both in support of professional dive centers. In the dive business his reputation was impeccable. We didn’t haggle over price and terms. Our discussions were more like interviews. Are you right for my baby? Is this something I want to adopt? We had a comfortable feeling that Mark was going to take the show and magazine to the next level. While he seemed to know he could do it, I got the distinct impression he had no idea what he was getting in to. I did not want to discourage him but I wanted him to know what he was stepping into. The honesty on both sides of our talks set our business and personal relationship. Mark’s first year with the show was 2012. Kim and I decided to stay attached for the first year or so to get them going, and we got to know Mark’s wife Ginny and fell in love with her immediately. Their daughter Tracy came to the show as the associate producer. Instead of them just adopting our baby, it’s like our two families have adopted each other to support the future of SCUBA Show. The Youngs now own SCUBA Show, but we love and enjoyed being with them, and have “volunteered” every year since. In fact all of our boys have worked for us, as did other family and friends, and most still come back annually to work the show. Kim’s mother, Mary Lou, has been to every show since 1988. She is now 81 and you will see her at the registration desk again in May. Between so many good people working the show with long experience who love and know it so well, and the interest and excitement of the attendees and the exhibitors, the atmosphere is both professional and fun. And we are glad to still be included as seminar speakers, consultants, and with staffing. 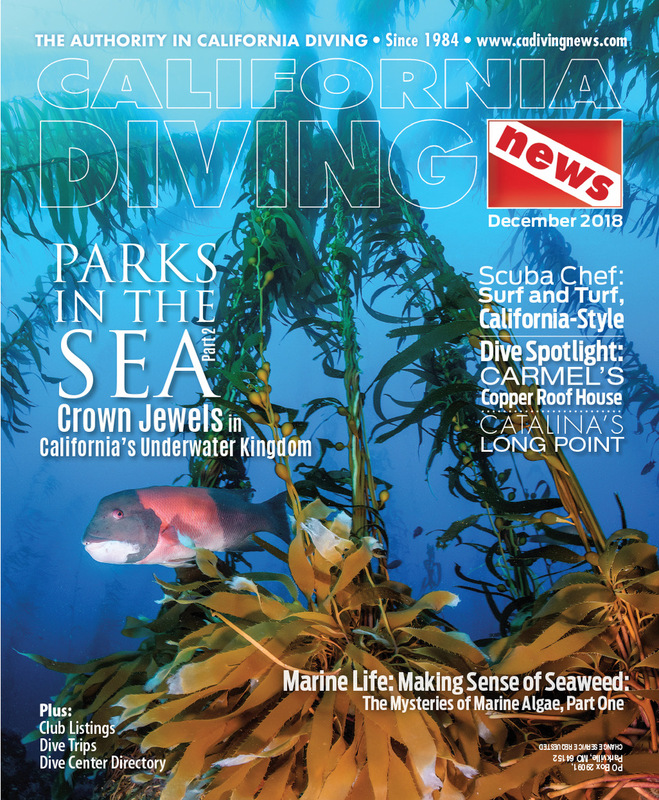 We love writing for California Diving News. It is fun working with great friends and looking forward to seeing old diving friends, making new ones, seeing the new gear, and gathering new ideas and booking travels for the coming year. Our story with the show hasn’t ended, and I hope to see you there in May.